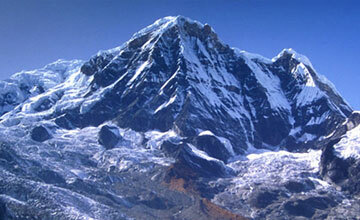 Bokta peak climbing is popular trekking peak in Kanchenjunga region. Bokta peak 6143m is one of the popular trekking peak in Kanchenjunga Himalaya region . Bokta peak is (NMA)Nepal mountaineering Association’s “A” category trekking peak and only few mountaineers climbing this peak. Bokta peak climbing is challenging and more adventure trekking peak in Nepal , good physical fitness required to summit this peak. Bokta peak climbing offers unique Himalayan views of eastern part of Nepal including Mt. Kanchenjunga 8586m (third highest mountain in the world), Jahnu Himal/ Kumbhakarana 7710m Dhormo peak 6850m , Nupchu 6690m etc , lush valleys , beautiful landscape , wild animals and Tibetan culture and their warm hospitality. For climbing bokta peak, it has two option either directly flight from Kathamndu to Taplejung suketar or from Basantapur as well as visit in both kanchenjunga base camp ( Pangpema base camp and Oktang base camp) or only Oktanag base camp closed to the Bokta peak, we Himalaya Journey Treks & expedition arrange the bokta peak climbing route according to clients/mountaineers wish and holiday schedule. Day 01: Arrival in kathmandu 1334m, our airport representative will transfer to hotel , Kanchenjunga trekking & Bokta peak climbing briefing with officially arrangements. overnight at Kathmandu. Day 02: After breakfast, our tour guide will take to for historical monuments sightseeing in kathmandu valley such as Boudhhanath: visit Bodhnath Stupa, one of the biggest Buddhist shrines in the world, where we observe Buddhist monks in prayer in the monasteries surrounding the stupa than visit Pashupatinath: the most famous Hindu temple in the country, located on the banks of the holy Bagmati River. Here you see Hindu holy men (sadhus) meditating, pilgrims bathing and occasionally funeral pyres burning on the ghats. Kathmandu durbar square: you will enjoy with different Hindus Temple , Goddes Kumari, legend of kathmadu valley and prepare for the Kanchenjunga trekking because this day is required to make Kanchenjunga trekking permit with original passport. Overnight at kathmandu. Day 15: Sinion /selele phedi via Selele pass 4854m trek to Tseram 3870m Overnight at Tented Camp. Day 19: Bokta peak base camp to Bokta peak high camp and for preparation Bokta peak climbing. During this day Himalaya Journey Treks & Expedition's climbing guide will teach you how to fixed the rope, how to blay the rope, how ascend and descend, short training. O/N tented Camp. Day 30: After breakfast, Relaxing/shopping with own activities , Himalaya Journey Treks & Expedition's representative will drop to Kathmandu international airport for onward journeys or if you time and interested for another package trip , we will arrange accordingly such as Mt. 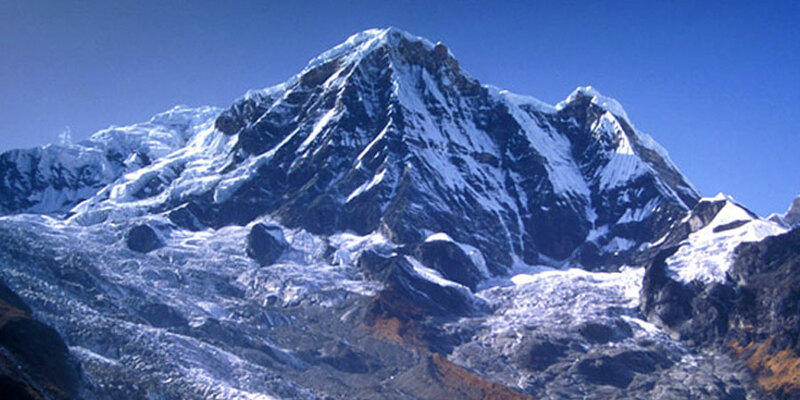 Everest mountain flight tour, , sightseeing tour in Kathmandu valley, River rafting etc. Domestic airport pick up and drop by private car/van/ Minibus / Bus to catch Kathmandu Suketar Kathmandu Flight . 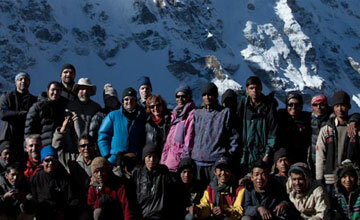 Required Trekking porters who will carry food and necessary trekking equipments during the peak climbing . Kitchen equipments , trekking equipments and tents (two men tent, Dining tent, kitchen tents, tents etc),mattress. Himalayan sights: Mt. Kanchenjunga 8596, Mt. Everest 8848m, Mt.Lhotse 8516m,Mt.Makalu 8463m,etc. 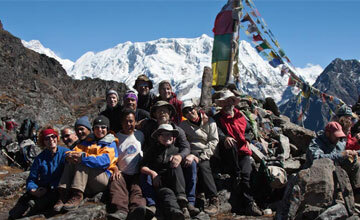 Splendid breath taking place: Kanchenjunaga trekking & Sele le pass trekking.